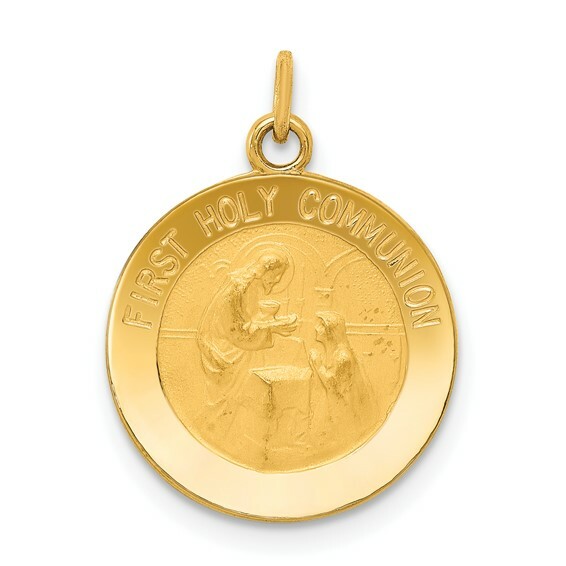 This small round first holy communion charm is made of polished 14kt yellow gold. Item is 5/8in x 5/8in without loop and bail. The body and blood of Christ celebrated at Eucharist recalls the unity of Christ with the Church. This sacrament is also known as First Communion.